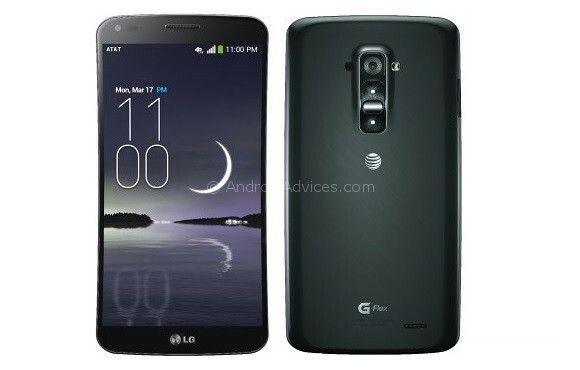 The LG G Flex global availability is picking up the pace, as one of the big carriers in the US, the AT&T network has announced the plans and pricing and the details about the availability of this G Flex smartphone for the US market. The curved phablet with the flexible display would be available from January 24th on both, the online AT&T store or in their offline stores. That is the date for pre-orders while the actual full retail sales would start from February 7th, 2014. The G Flex comes with a 6-inch HD OLED display with the screen resolution of 1280 x 720 pixels and it’s the 2.26 GHz Qualcomm Snapdragon 800 processor with the quad-core Krait CPU powering the device with the 2GB of RAM, and there is a 32GB internal storage provided. Just like the flagship G2, the G Flex has a 13-megapixel rear camera and a 2.1-megapixel front shooter, but there is no OIS feature for the rear camera. The device would run the Android 4.2.2 Jelly Bean OS and the battery is a curved one, with the capacity of 3500 mAh.